Candidate who are applying for Professor & Assistant Professor Vacancy of JIPMER Recruitment they should have passed Post Graduation Qualification in MD/ MS / M.Ch in respective field from recognized University or Institute. Candidate should have also experience in teaching or research in a respective field. Candidates can pay fees through Demand Draft drawn in favor of the Director, JIPMER, Puducherry payable at State Bank of India, JIPMER Branch (02238), Puducherry-605006. The candidates with Postgraduate Medical Degree recognized by the Medical Council of India will be paid B/Pay Rs.18750/-Plus Grade Pay of Rs. 6600/- (Pre-revised) and other usual allowances per month in the first year of his/her residency. (Total emoluments Rs. 80,000/- Approximately). A written Examination based on MCQs in the subject concerned will be conducted for eligible Candidate followed by personal interview. Selection process for the post of Senior Resident will include a written examination (80%) and review of academic, research credentials including publications academic awards, research paper, presentation in conferences and performance in personal interview (20%). Candidates will be shortlisted for interview based on their written test marks. List of short list candidates will be displayed on our notice board on the same day. In this regard, this Institute reserves the right to take the final decision. Applicants visit to the official website www.jipmer.edu.in. Now Click on official JIPMER Jobs Notification link. First read all the instruction from notification properly. 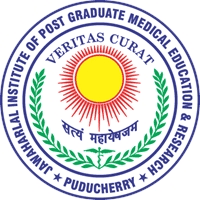 Then click on Download JIPMER Puducherry Jobs Application form. Take print out of application form & fill all required information in form properly. Attach passport size photo & required documents with application form. Then send Softy copy of all documents with application form on Email address..